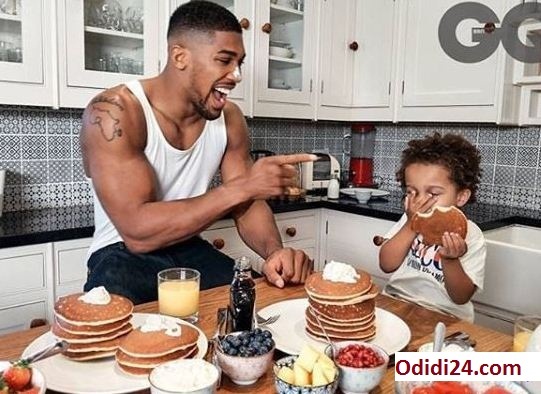 Anthony Joshua and his child, JJ are on the whole shades of adorable as they cover the December version of GQ Magazine Photos. Nigerian-conceived British boxer, Anthony Joshua covers the December release of GQ Magazine nearby his child. Joshua has battled and won 22 proficient sessions. He holds four of the world heavyweight titles and one year from now could guarantee the fifth, an accomplishment that has never been finished. The magazine cover is a piece of GQ’s 30th-commemoration dismemberment of manliness where he discussed why he doesn’t need his kid to ever enter the ring and what it takes to raise a family right.